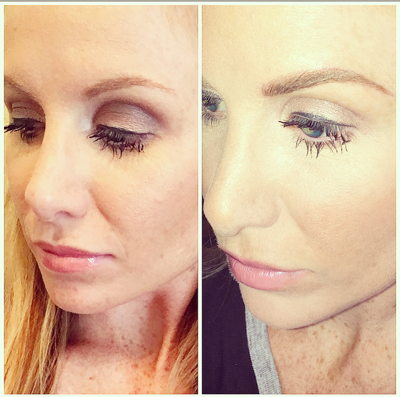 Here are my before & afters from my microblading experience. Overall im really impressed with my results I waited a few years to get this done because the lady who did mine was booked out a year. And then I was pregnant and breast-feeding and you can do it when you're pregnant and breast-feeding. I went to Tampa to have this procedure done. 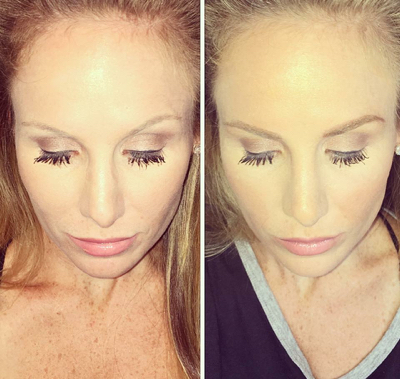 Basically micro blading is just getting a tattoo on your skin and hair stroke so it doesn't look bike your eyebrows were drawn on she gave me several different colors to choose from by placing a dot on my forehead of the color so I could see what the color would look like on my face and I picked the top color she created and I am very happy with the results. Its so nice to not have to worry about penciling in my brows anymore.